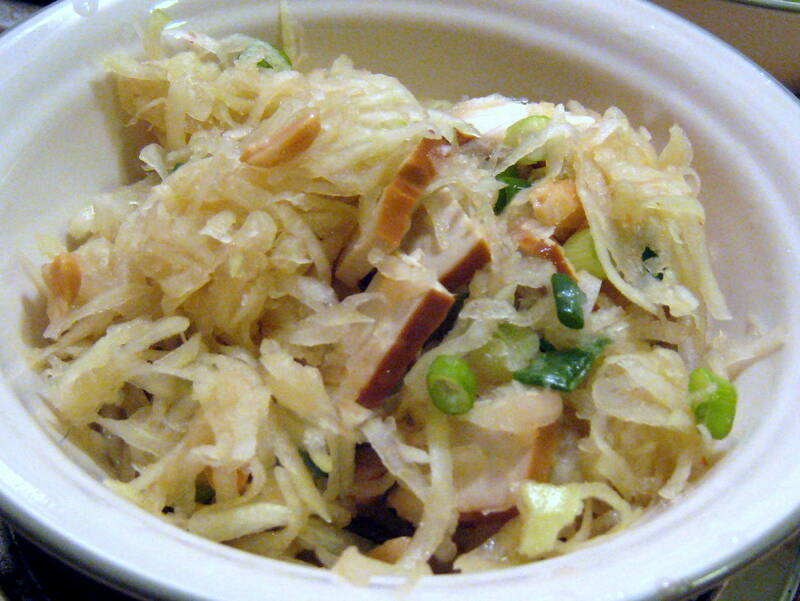 Although not technically noodles, this grated papaya salad is similar in texture. Grate papaya, mix in other ingredients. Top with peanuts and Siracha. This entry was posted in veganmofo and tagged dinner, gluten free, green papaya, peanuts, salad, vegan, veganmofo by Beans, Figs and Katz. Bookmark the permalink. I love the idea of 1.5 limes.